In droplet separators, the higher inertia of the liquid droplets is used against the lower inertia of the gaseous medium. These adhere to the internals and partly flow over the container walls or drop from the demister into the collecting area. 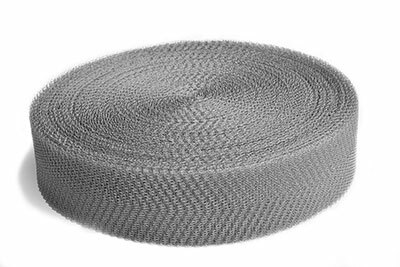 Knitted mesh demisters ensure an optimum separation degree with little pressure loss. Our droplet separators are specially adapted to customer requirements. A close and faithful collaboration is very valuable for this purpose. all available anti-acid, heat-resistant and high-alloyed stainless steels, special materials like Inconel™, Monel™, Duplex, Hastelloy, etc., titanium, aluminium, galvanized iron, and more. Our droplet separators are used to remove dust, fine particles and liquid drops. They increase the processing efficiency and contribute to the environmental protection as well as to process safety. 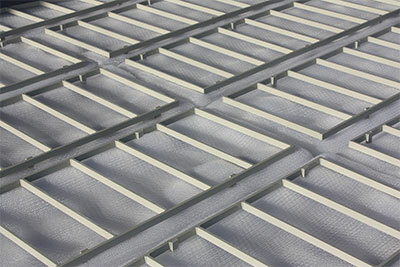 Knitted mesh demisters can be used in numerous applications, for example, in evaporation, air-conditioning and ventilating systems, gas scrubbers, steam boilers, dust removal, to protect ventilators and steam turbines, in seawater desalination plants, in the oil and emulsion mist separation and in chimneys. 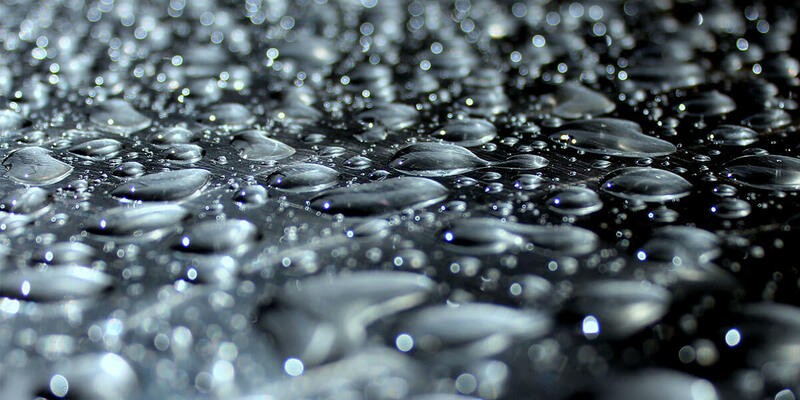 In the demister production, we offer a wide range of designs and materials or material combinations. 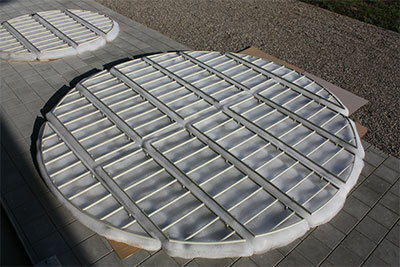 Our largest demister had a diameter of 8 meters and a total weight of 1000 Kg. The main sales markets for droplet separators are plant engineering, petrochemical and chemical industry and process engineering. We realize complex technical designs with exact dimensional accuracy. We process with expertise especial materials or material combinations. Absolutely under the motto: “Quality is dynamic, not static”, our droplet separators are specifically adjusted to customer requirements. Thanks to our good and reliable supplier connections, almost all materials are available in a short time. Through proven production methods and self-developed machine systems, we are able to guarantee fast delivery times in spite of a high quality standard. We also use high-quality raw materials mainly from Germany and the EU. This enables an environmental-friendly and resource-efficient production and supports the value-added chain in terms of sustainability.